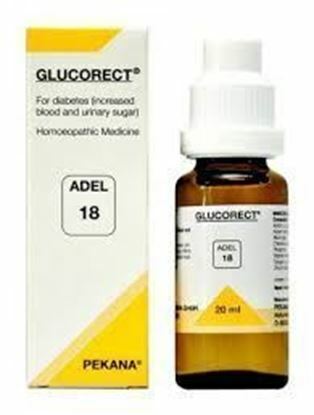 Information about ADEL 18 Glucorect Drop GLUCORECT Drops (ADEL18 Drops) FOR DIABETES (INCREASED BLOOD AND URINARY SUGAR) INDICATIONS: For treatment of diabetes and promotion of proper regulation of sugar metabolism. The metabolic condition of a patient suffering from diabetes requires both therapeutic and nutritional measures to correct the illness. Along with the patient's strict compliance to a proper diet, therapy must stimulate the body's self-healing powers to prevent arteriosclerotic or even gangrenous developments. Because the illness frequently first appears as adult-onset diabetes, it is also necessary to address initial degenerative developments in the eyes (glaucoma), chronic lymphatic weaknesses, hypertonia, hardening of the liver and rheumatic processes. ADEL 18 (GLUCORECT) drops regulate sugarmetabolism while helping resolve metabolic disturbances that lead to diabetes. INGREDIENTS : Acidum Lacticum 8X, Acidum sulfuricum 4X, Allium cepa 4X, Chionanthus virginica 6X, Phosphorus 12X, Zincum sulfuricum 6X, Stigmata maydis 8X, Syzygium cumini 4X. 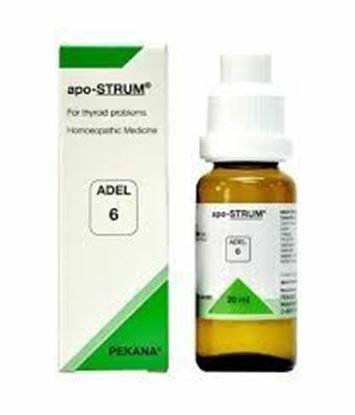 Acidum Lacticum acts against the weakness of all muscles and polyuria which are important signs for diabetes. 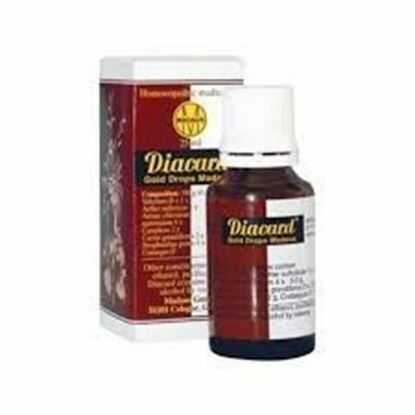 This remedy regulates the continued nightly flow of urine by diabetics. It treats eliminates itching sensations and helps balance patients' moods. Acidum sulfuricum treat the dysfunctional psychological condition of a diabetic, such as impatience and hurriedness. This mineral acid is considered an important regulator of the digestive organs, and also treats eczema or itching skin conditions. Allium cepa regulates digestive processes. It helps eliminate flatulence and colics, as well as the hyperorexia and thirst common in diabetics. This substance also addresses weakness of the limbs. Chionanthus virginica treats the liver and pancreas. It also addresses dysfermentation in these organs, as well as resulting colics and gall bladder disruptions Phosphorus is an important regulator of all metabolic processes in the body and helps address acute and chronic illnesses of the digestive organs. It is well known that many cases of diabetes are proceeded by a hepatitis, which may result in a lingering intoxification that either leads to the onset of diabetes or prevents healing of this condition. Zincum sulfuricum as a trace element, zinc affects the function of the stomach, liver and duodenum. It also influences brain function by treating vegetative exhaustion caused by chronic overtaxation and mental fatigue. It also treats the underlying causes of chronic intoxification, blockages of various systems and the waking-sleep rhythm. Stigmata maydis possesses a high silicic acid content to help regulate blood sugar levels. Continuous use expands the effectiveness of the substance against chronic inflammation, as well as exhaustion, memory loss and sclerotic changes that often appear in longterm diabetic illnesses. In addition, it stimulates renal drainage. Syzgium cumini regulates blood sugar levels and contributes to the healing of diabetes. 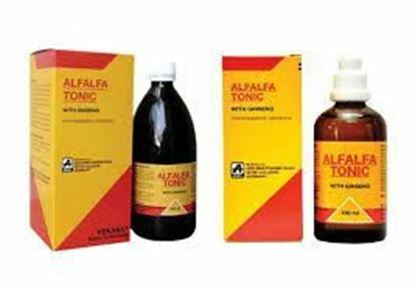 This remedy treating great thirst, chronic weakness, emaciation, large quantity of urine with high specific gravity and diabetic ulcers. RECOMMENDED DOSAGE (Unless otherwise prescribed) Adults - 15 to 20 drops, 3 times a day in 1/4 Cup of water.